Raj Bhavsar, having been screwed out of an earned spot on the U.S. Olympic team twice by his fellow countrymen, finally could no longer be denied. 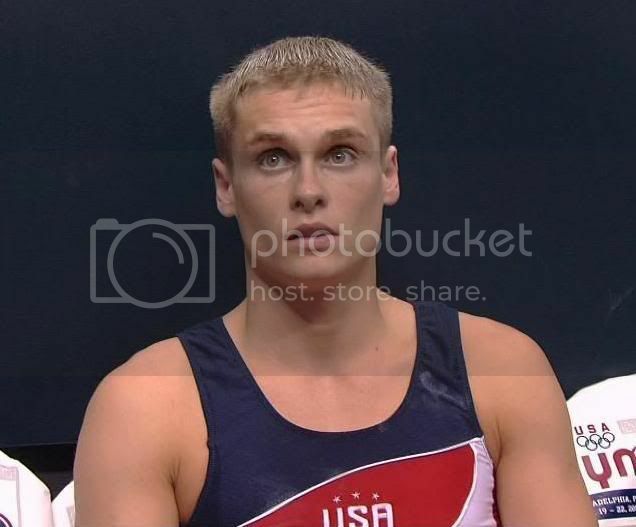 When Paul Hamm could no longer pretend that he would be physically ready to compete in Beijing, he withdrew from the U.S. gymnastics team and allowed Raj, an alternate, to become part of the official team. It is generally acceded by everyone except the USA Gymnastics organization that Raj Bhavsar has the heart of a champion. He is a real example of what it means to be a great American (and Texan). He has great spirit, integrity, personality, and intelligence and is a personification of what the games are all about. Besides these things I also like that he looks good shirtless and with his height he would be a terrific travel-size boyfriend, but I digress. In 2004 and 2008, the selection committee for the Olympic team allowed their base prejudices against an Indo-American to prevent them from selecting Raj Bhavsar to compete for America at the Olympics. Fortunately, after Paul Hamm withdrew they allowed an objective computer process to pick Raj over the other two alternates, Alexander Artemev and David Durante. Presumably the computer program had been altered this time to allow a Desi to be selected as output. It's not going to be easy for Raj joining the team at this time, as he hasn't been given the chance to prepare mentally the way the other team members have been. 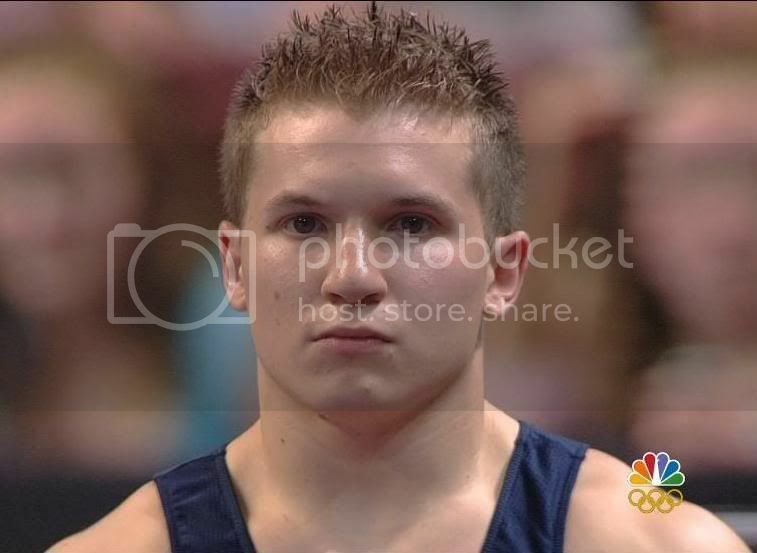 It also won't help from a spirit perspective being on a team that has lesser gymnasts that were selected ahead of him. If anyone can overcome these kind of obstacles it would be Raj Bhavsar, so I hope for the best for him. The justification for using a selection committee is so that somehow the "best" team can be put together for the sake of the U.S. to increase its medal tally. If in their analysis they decide that an Indo-American gymnast would not receive good scores from international judges, then for the good of the U.S. such an athlete would have to be denied inclusion. It can be seen that with the unlimited power to do these kind of things, the committee can just as easily include its own favoritism and discriminatory preferences. Well, we don't have a Soviet-style sports system where it is important to win at all costs for the good of the state, so these philosophies are really not acceptable in this country. It's supposed to be about the athletes and celebrating what each of them can bring themselves to accomplish. The selection should be in their hands according to how they perform and not be overruled by anyone else's whim. Of course the most patently stupid thing about all of this is the idea that the committee could predict with any certainty how the gymnasts would perform at the Olympics on each apparatus. Everyone knows that the best gymnasts can fall to pieces and the ones in the middle of the pack can have the performance of their life. So to declare that any given set of gymnasts will maximize the team score on some future date is absurd. 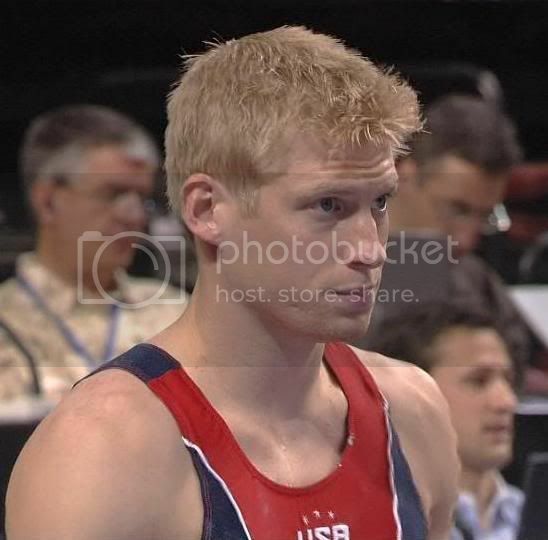 Things could be improved for 2012 if the Olympic team trials were made to actually mean something. The team largely should be put together by the achievements at the trials with a few spots left over to a committee to fill in any gaps. The top three or four gymnasts could be automatically selected using a mathematical formula that is based on the all-around and event scores and is a formula known to everyone from the start. No more secret methods in backrooms that are contrived to deliver whatever results the committee wants them to. No more pretending that anyone can predict what a gymnast's score will be on a given apparatus on a specific date in the future. The only thing that is known for certain is the results from the national championship and the trials and that's what it should be based on. Anything else is no better than using tea leaves, or in honor of Beijing, the I-Ching. BTW, you can't compare putting together an Olympic team with putting together a major league sports team. With the latter, a good player can just go to another team if his skills aren't needed in one place or another. With the U.S Olympic team it is the only game in town. There's no second choice teams to go to. There's no reason to destroy callously someone's dream just to add another tally mark to a meaningless national medal total. Update (August 8): Morgan Hamm also withdrew because of a previous injury. His replacement is the erratic Sasha Artemev. It's not clear yet whether Artemev is a better choice than David Durante. 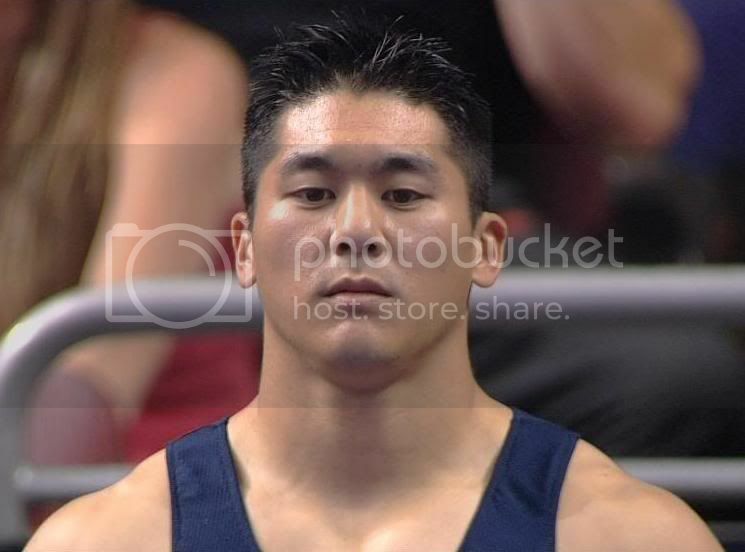 The one thing that Sasha had going for him that was clear is that he is ethnically European and that is something that would give him a big advantage in being selected by the USA Gymnastics organization, disturbingly.